Omicron Eta Lambda Chapter is a leading service organization dedicated to fostering a sense of “brotherhood” among its members and providing quality community outreach projects/activities. We will achieve these goals by continuing to facilitate the internal and external interaction of its members in order to further enhance “brotherhood” and maintain strong membership participation in chapter projects and programs. Chapter Meetings are held the 3rd Friday (September - June) in Lecture Hall 6 on the 2nd Floor of the R. A. Dixon Building, College of Dentistry, 600 W Street NW on the campus of Howard University. Repast is at 6:30pm and the meeting follows at 7:06pm. All members of Alpha Phi Alpha in good standing are invited to attend. In keeping with the organization’s principles, the Omicron Eta Lambda Charitable Foundation annually awards several scholarships of up to $4,000 to eligible senior high school students enrolled in District of Columbia public schools. 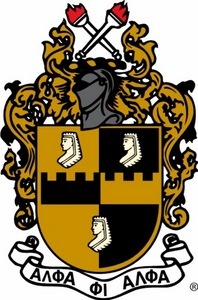 The scholarship is named in honor of one of the seven founders of Alpha Phi Alpha Fraternity, Inc., Nathaniel A. Murray, who was a teacher at Armstrong Vocational High School in the District of Columbia.